← FAQ: Where can I find the Confidentiality- and Learning agreement to upload to Pathbrite? FAQ: Where can I find my course timetable? Your timetables can be accessed through your moodle course. 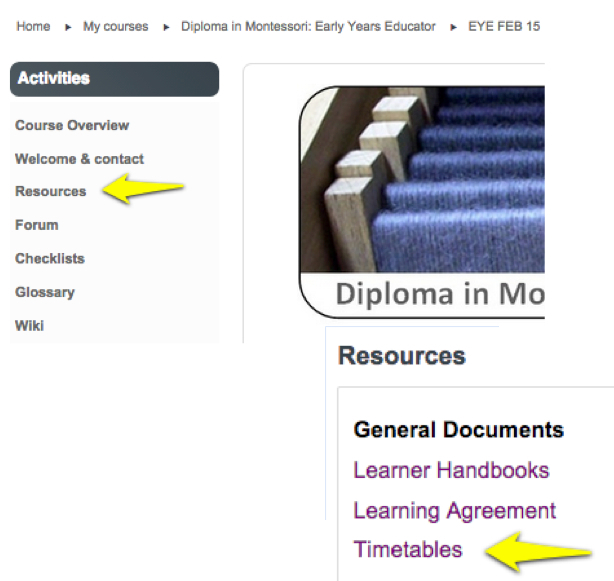 Go into your course and click the Resources folder and then click timetables. The timetables have your group code and day of study, so select the one relevant to you. This entry was posted in Uncategorized and tagged timetables. Bookmark the permalink.